Innovative companies that capitalize on the new technologically driven paradigm in product development have the best chance of succeeding over the competition in what many call the new digital, collaborative, and Big Data-dependent industrial revolution. The transformative nature of designing and making things was the overarching, common theme at separate conferences held in Boston in September by two giants in the PLM space: Autodesk, with its Accelerate 2015, and Siemens’s Industry Analyst Conference 2015. “We are in a digital industrial revolution,” affirmed Thomas Maurer, senior director of strategy for PLM software at Siemens. • The cloud, which allows real-time access to projects worldwide and increases the ability of users to work with designs, production processes, and other aspects of manufacturing. The two companies highlighted different approaches to meeting the challenges of engineering and manufacturing’s digital evolution. Siemens — and much of Europe — refers to the changes as Industry 4.0, aka, the fourth industrial revolution (after water and steam power, electric power, and computing power). Siemens highlighted integrated digital enterprise software suites such as its Teamcenter, in which functions like product design, production planning, engineering and execution, and logistics are optimized and proven before a dollar of capital investment is spent. The software “weaves a digital thread through the entire value-creation chain,” said Chuck Grindstaff, president and CEO of Siemens PLM. Autodesk presentations largely focused on the company’s new generation of PLM 360 software, a cloud-based process-management program that reduces the complexity of managing people and data, streamlines processes like design and logistics, and allows global users within a company or among suppliers to access and update information in real time. One notable benefit of PLM 360 is its ability to transfer data from spreadsheets to digital formats that automatically adjust and update information. Speakers at the Autodesk conference cited this as a major advantage. Reese, for one, explained that companies must understand what they have and have done so they don’t waste time and money unnecessarily redesigning products. He cited a bolt manufacturer that, because of inefficient records and inventory management, redesigned a custom bolt 27 times and manufactured it at 17 global locations, with 17 price points. “How much time, energy, and capital was wasted on this?” he said. Manufacturing, clearly, is no longer just making and shipping something. Siemens demonstrated this with Digital Twin, software that allows engineers to digitally create, optimize, and prove every aspect of machine and robot use, plant layout, and manufacturing before resources are committed. Digital Twin, Grindstaff said, is a way of “predicting the future” through realistic simulations that integrate PLM and manufacturing. Siemens uses its Point Cloud Factory Scans to simulate manufacturing and “integrate mechatronics engineering” to “close the loop between ideation and realization” by combining different platforms — electronics, automation, mechanical — in the software. 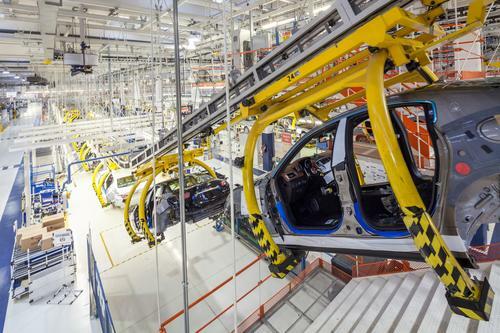 BMW used the software to improve the design of its assembly plant in Steyr, Austria, and reduce electricity use by 3 million kW per year, for an annual savings of $6.7 million. One goal of these capabilities is to develop better products faster, which is a challenge. According to findings from Roland Berger Strategy Consultants, cited by Grindstaff, product complexity more than doubled in the past 15 years, while product lifecycles shortened by 25%. Interestingly, few companies are fully aware of PLM and related software and their benefits. An Autodesk panelist underscored this, observing that suppliers with cloud-based PLM software generate only $75 million in annual sales in a potential $5 billion market. Developments predicted by Autodesk and Siemens in software, among them easier use and closer integration with machines, could significantly increase market penetration. There is a brave new world of design engineering and manufacturing at hand that is challenging and disruptive to conventional models but filled with opportunity that has yet to be realized. We’re heading to Philly and Houston! Design & Manufacturing Philadelphia will take place Oct. 7-8, while Design & Manufacturing Texas will be in Houston Oct. 13-14. Get up close with the latest design and manufacturing technologies, meet qualified suppliers for your applications, and expand your network. Learn from experts at educational conferences and specialty events. Register today for our premier industry showcases in Philadelphia and Texas! Pat Toensmeier has more than 30 years of experience writing for business-to-business publications. His main areas of coverage have been defense, design, manufacturing, technology and chemicals, especially plastics and composites. He has reported extensively on developments in these areas from the U.S. and Europe, and covered industry events as well in Brazil and Asia. Toensmeier has held various positions at major publishers such as the McGraw-Hill Companies and Hearst Corporation. A graduate of the University of Missouri, he is a contributing editor for several print and online publications. Toensmeier is based in suburban New Haven, Conn.